Thank you for contacting us. 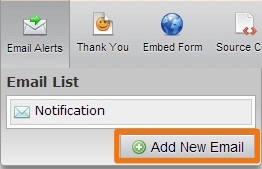 Please follow this steps on how to create a notification send to your gmail account. 4. Select "Notification" option & click next. 5. Fill out "recipient e-mail" with an appropriate email address, Sender Email and Sender Name. Click next. 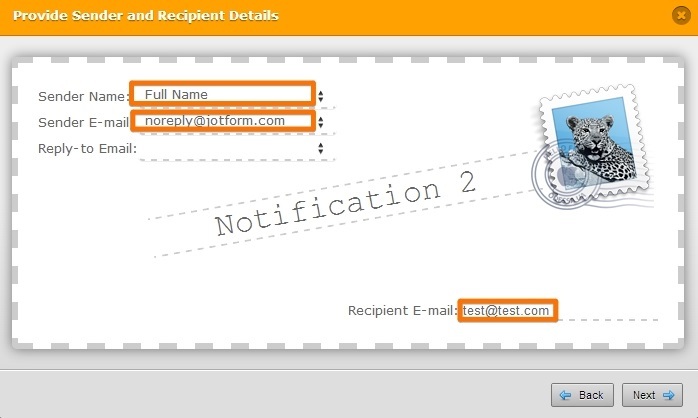 Please type in noreply@jotform.com on Sender's Email field to prevent email not being received issues. 6. Complete your notification layout and click finish. You're done. You may alos implement your own email into your setup as Sender E-mail. Please see this guide.